Jay Wilson and his puppet and entertainment company Pandora’s Sox will be at 10 Carden on Friday, July 24th at 7 pm! Watch puppet routines, listen to poetry recitations, hear original songs, Shakespeare and other stuff. 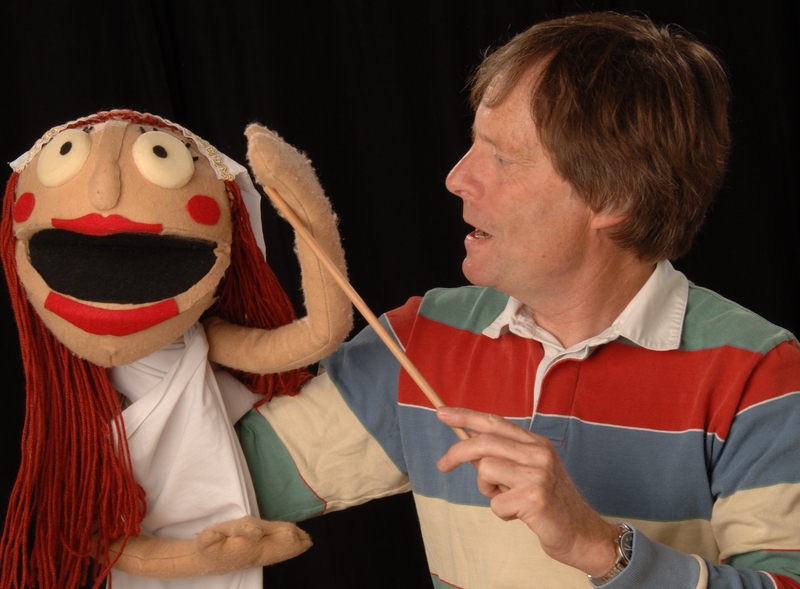 Pandora’s Sox brings an array of puppet characters to entertain and amuse. Come and see! This event is PWYC (Pay What You Can). Experience puppet mayhem. Jay Wilson and Pandora’s Sox bring something for everyone! This event is not just for kids, but for attendees of all ages. Pandora also made a YouTube video to talk about it! Watch more of Pandora’s Sox’s videos at https://www.youtube.com/user/wilsonjay7. Support local performers and have some Friday night family entertainment at 10 Carden’s beautiful and spacious Heritage Room (located on the building’s third floor)! They’re on social media too! This entry was posted in Fourth Fridays, Literature, Performance and tagged downtown Guelph events, Fourth Friday's events, Guelph events, kids events Guelph by Fourth Friday. Bookmark the permalink.